Most of us will leave behind the condition of the stair risers as blank one even after decorating the other places and rooms of the house. 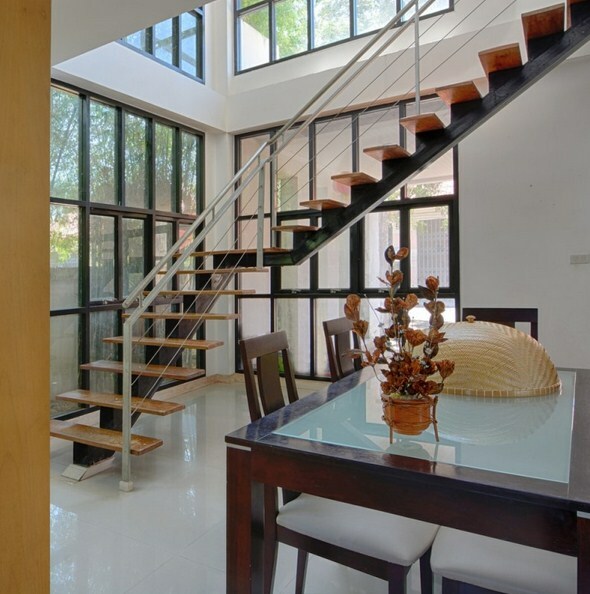 But, after reading this article, we admit our mistake to consider the stair risers. And many a number of ideas can be raised, after reading this article, in addition to the ideas given in the article. Stair case is the place which lifts us up to the higher floors, so, incorporating best designs to uplift the stair risers is necessary. Placing suitable carpet or vinyl sheets on the stairs is the simple idea. Whereas, painting with the adorable designs will also decorate the stair risers. Vinyl stickers that can be easily stick to and removed can use to decorate the stair case. By using vinyl stickers, it is highly economical and time saving, so that, it can be installed easily by single person. The only thing to be considered is the apt and appropriate design to be selected. Painting the stairs with suitable colors of distemper or emulsion and appropriate designs as floral design, beautiful birds, quote from the holy books, etc are valued ideas to be used while decorating the stair risers. 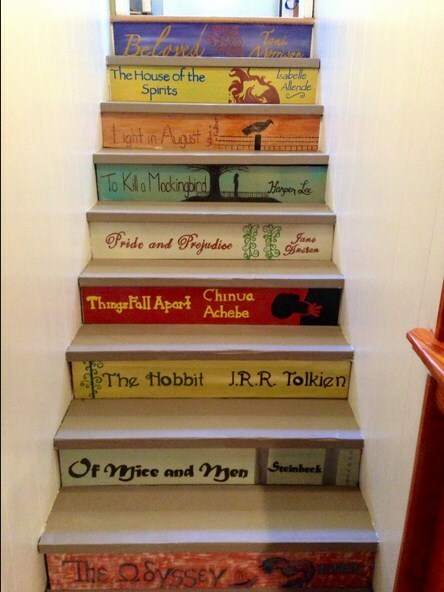 Either in case of bare stairs it is admirable to paint it with utmost creativity. For those literature lovers, beautiful quote from the famous literature and novels are painted. Besides, the quotes are also available as vinyl stickers that to be sticking to the stair case, easily. The entire family can get involved in selecting the book titles and quotes from the literatures that to be mounted on the stair case. The next interesting way to décor the stair risers will be with the bold numerical. This is quite interesting, so that, the children can learn to count. Similarly, painting with alphabetical words in the stair risers that can help the toddlers to learn and have fun. Wall papers can also be used for sticking to the risers. 30 minutes makeover of these wallpaper are coming with flying colors and designs. The additional advantage of these wallpapers is that they are economical and easily installed. Above all other ideas, placing rope on the rails instead of stair bars to get a lake or beach cottage atmosphere. But make note clear that these rails have meet out the building codes and followed them correctly. Also to attach a slide aside the downstairs will admire the kids and teens a lot. Nothing other than a slide will satisfy the children much. While going for a slide attachment to the stair case make sure that the stair case is spiral rather than the straight erect. Because, the spiral stair case is much funny and suitable for slide attachment rather than the erect one. After a read out of the entire article it will be clear for anyone to decor their stair risers with creative and interesting ideas. Since, the stair case is the best place where one can express hi/her uniqueness.